Yusata addressed Officers about YLogApp 2014 - Yusata Infotech Pvt. Ltd. The Institute of Road Traffic Education (IRTE) invited Yusata to address officers from Police and Transport Department from all across India regarding YLogApp, which provides features of Road Crash Investigation. 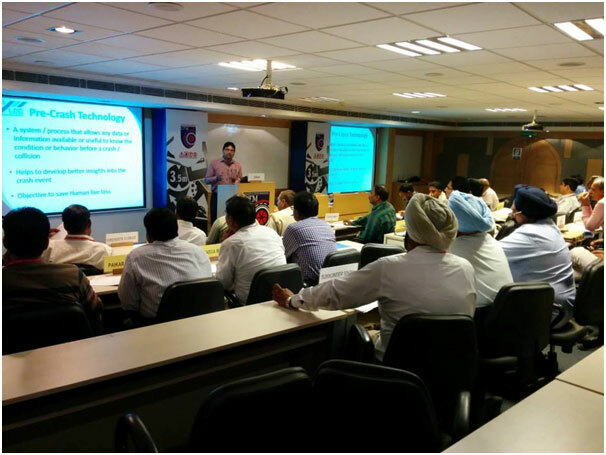 This course was conducted for The Ministry of Road Transport and Highways officers. We thank to all Officers from Police, Transport Department and IRTE to have been able to bring together a Discussion for a System regarding Road Crash Investigation to save a Human life.